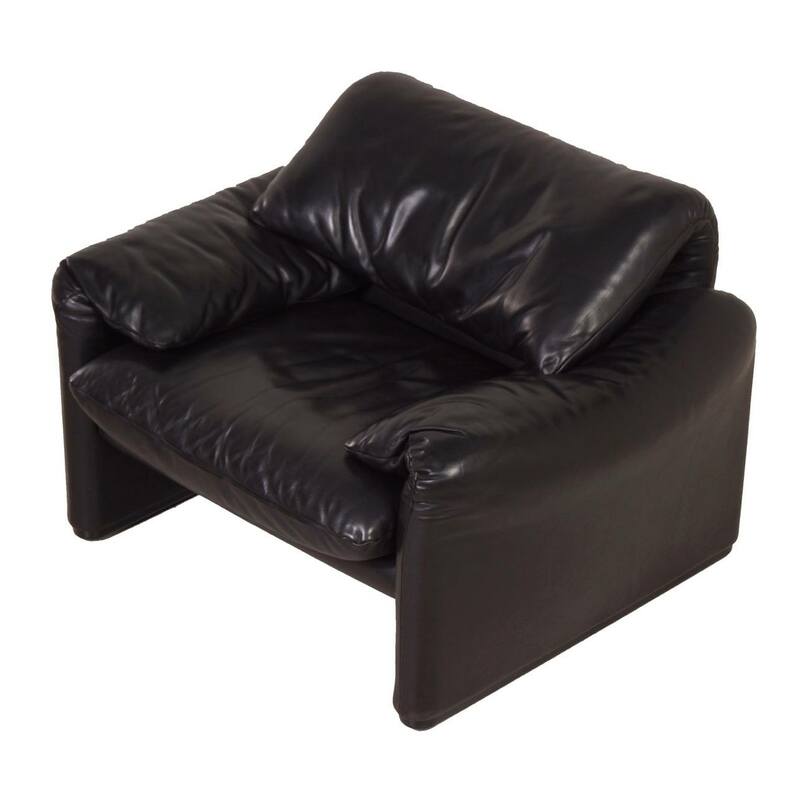 Black Leather Maralunga Easy Chair designed by Vico Magistretti for Cassina in 1973. This timeless design classic is very comfortable to sit in. The Maralunga easy chair has an adjustable headrests. This folding mechanism of the back is ingeniously invented on basis of a bicycle chain. This black leather Cassina sofa is considering its age still in very good condition. The leather is still very good, no cracks or craquelé, minor traces of use. Dimensions: H x W x D = 72 x 104 x 84 cm. The seat height is 44 cm and the seat depth is 56 cm.